Essential DIY Laundry Strategies That You Must Know! | Oh Style! Essential DIY Laundry Strategies That You Must Know! Looking for a laundry service provider is actually not a daunting task if the person is aware of some of the important factors necessary to look for. These factors are usually looked from the service providers if you are expecting a perfect professional laundry cleaning service. 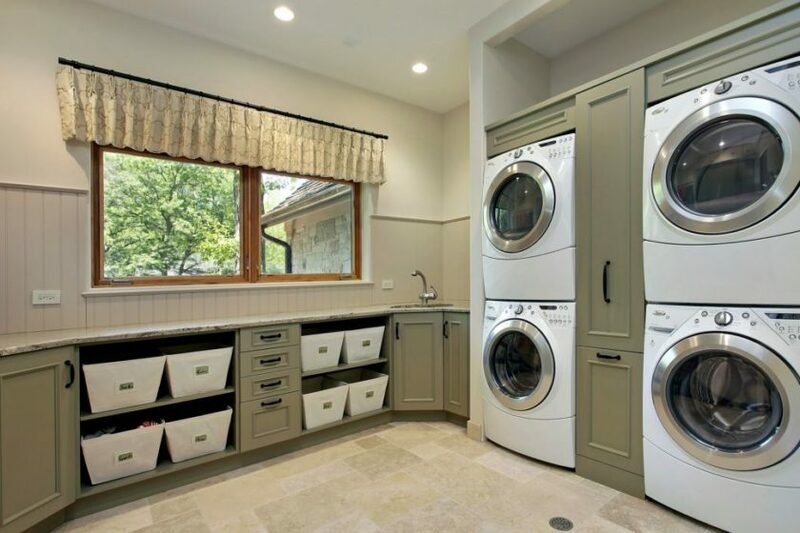 But if you actually see, laundry cleaning can be made a much easier task if one keeps some of the important factors in mind. Keeping the darker darks: The black and dark colored wardrobe sometimes appear as faded and distressed looking garments after being treated with several regular laundry cleaning processes. As a result, in order to overcome from this, you can opt below-given DIY tips to keep the black & dark colored wardrobe collection look new. DIY tip: For dark colored clothes, one can add 1 cup of table salt with the rinse cycle. For the black colored clothes, one can add 2 cups of brewed coffee or tea with the rinse cycle. For the denim jeans that fade slowly, one has to soak the jeans in a 50/50 solution of water and white vinegar or in the salt water before its first wash. Then, turn the jeans inside out before regular treating of jeans while turning the temperature setting to cold. Maintaining the lighter clothes: Have you ever observed that your white clothes tend to go gray or the light colored socks look dirty regardless the number of times they are washed? If you are also facing these situations, you can go with some of the trusted DIY methods to maintain the complexion and brightness of the lighter or white clothes. DIY tip: Dissolve 5 aspirin tablets in the hot water and soak the light colored clothes in it. Also, add some proportion of white vinegar in the washing machine’s rinse cycle. Another option is to soak the garments in the solution of 4 liters of water containing 180 grams of bicarbonate soda. The clothes must be pretreated with these options before going for actual laundering. DIY tip: In a large cooking pot, take 1 gallon of water and mix ¼ cup salt along with ¼ cup baking soda and add the yellow colored items to it. Then boil it for at least 1 hour. DIY tip: Presoak the smelly washable items in a solution of 1 gallon of water and ½ cup of baking soda for approximately 2 hours. Then in machine-wash, you can add almost ½ cup of white vinegar to the rinse cycle. DIY tip: Give each of the family members a mesh bag for collecting their dirty socks at one place. Then, on the wash day, you can just put the mesh bag into the washing machine that will keep them altogether. DIY tip: Before normal treating of such clothes, you need to add ½ cup salt with the laundry detergent in order to brighten the colors. Another best option is to scrub the rug with a clean rag after it is dipped in salt water. Thus, these were some of the essential DIY laundry strategies that everyone must know for an effective and convenient laundry cleaning.